BCL - Cleaning Services in London. Everybody wants to live in a clean home. That is truth for almost every person and the reality is that by allowing Best Cleaning London to be your cleaning company in London, you will rest assured your home is just that – bright and clean. Our professional cleaners are flexible and we can clean your property starting at 08.00am or at 3.00pm or at any other time which suits you better. Our cleaning ladies and gentlemen love to do the cleaning work which can be hard work and boring for some people at the same time and will let you enjoy time with your family and friends while your home will be sparkling clean when you return back. The usual question most people are asking themselves is “Can I trust the so called “professional cleaning services in London?” Give us a call on 0800 9 247329 today and hear us talk about how do we conduct our cleaning business and read the reviews about our work online and if you are convinced that we know what we are talking about, then get a free price quote for our cleaning services in London and book us to do it for you.Proud of providing professional cleaning services for over a decade, Best Cleaning London is a reliable, knowleadgeable and proficient company that covers all areas in Greater London. Our End Of Tenancy Cleaning Services London are of the highest quality, delivered by teams of Tenancy Move Out Cleaning experienced cleaners. End Of Tenancy Cleaning North London provides services daily to a wide range of clients - from tenants and landlords to companies and contractors. The reviews left in our website by our clients are a testimonial to our excellent reputation. Carpet Cleaning Services North London is a cleaning service we provide for customers living in North London and it represents a wonderful opportunity for you to enjoy competitive prices for End Of Tenancy Cleaning London Prices with amazing and in most cases outstanding results. We, at Best Cleaning London will not disappoint you. 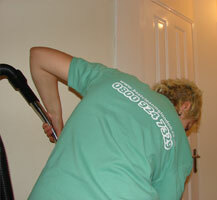 We normally specialise in one off office or domestic cleaning service delivered by 3 teams of professional cleaners. Our people are experienced, hard-working and good at their job. Once you try us, You can rely on our cleaners London to deliver outstanding quality of cleaning any day of the week and 52 weeks a year.Over the many years of working in the cleaning business, Carpet Cleaning Companies London have quadrupled in numbers but we on the other hand, have gathered 3 trustable and experienced teams to ensure the quality of our work. All our Professional Cleaning London End Of Tenancy cleaners are fully insured for your peace of mind and have undertaken in-house training. All types of properties, regardless of size are cleaned by our professional cleaners in the shortest period of time possible.